Hallelujah! Thank you to everyone who purchased the new albums! 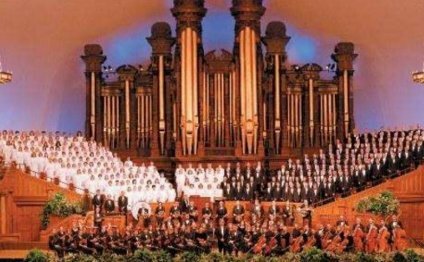 The Mormon Tabernacle Choir has just accomplished a rare feat—the new Messiah albums (Complete Oratorio or highlights version) are No. 1 and No. 2 on the the Billboard Traditional Classical Albums chart in its second week of release. The albums came out ahead of Downton Abbey: The Ultimate Collection. The first week also had the Complete Oratorio in the No. 1 spot, with the highlights following at No. 4. On March 24 and 25 at 7:30 p.m. MDT, the Choir and Orchestra will be performing Messiah in the Salt Lake Tabernacle, with two overflow venues available. Tickets are required. Watch the world’s largest virtual “Hallelujah” chorus video, which features 360 Choir members, 80 Orchestra members, YouTube artists Peter and Evynne Hollens, and over 2, 000 virtual singers, including former guest artists Donny Osmond, Alex Boyé, and Nathan Pacheco.